Friday 2nd December was the second fight night/event for our fighters since the nationwide ban on muay thai fights was lifted following the 30 day period of mourning throughout the Kingdom of Thailand for the late King Rama 9 Bhumibol Adulyadej. 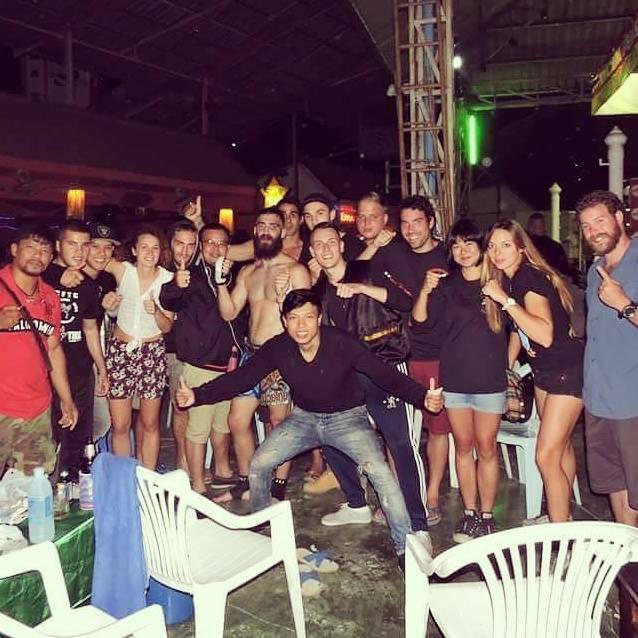 Three members of the Charnchai Muay Thai fight team travelled to Chiang Mai with our Head Trainer Bee for their fights at Loi Kroh Stadium, supported by our super students who also made the journey down from Pai to cheer them on. The first match of the night for our team was Felix from Mexico who was matched against Thai fighter Wichanlek Sit.Chornoot. Unfortunately for Felix, the fight was over in round 1 after a sharp knee to the abdomen forced the referee to stop the fight. Next to represent Charnchai Muay Thai in the ring was our Italian fighter Guido vs Phupingnoi Chayyai Gym (Thailand). 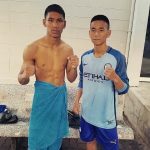 Phupingnoi has previously fought one of the more experienced members of the Charnchai fight team, Daniel Van Corler from Holland, with the Thai Phupingnoi winning by points on the two occasions they met in the ring. Guido’s fight was full of great technique and skill and went 5 full rounds. Guido was cool and composed throughout the fight but the experience of Phupingnoi meant that after 5 rounds the judges’ decision went in favor of the Thai fighter. The final match of the night was our French fighter Ben vs Yodchay Sor. Anucha (Thailand). 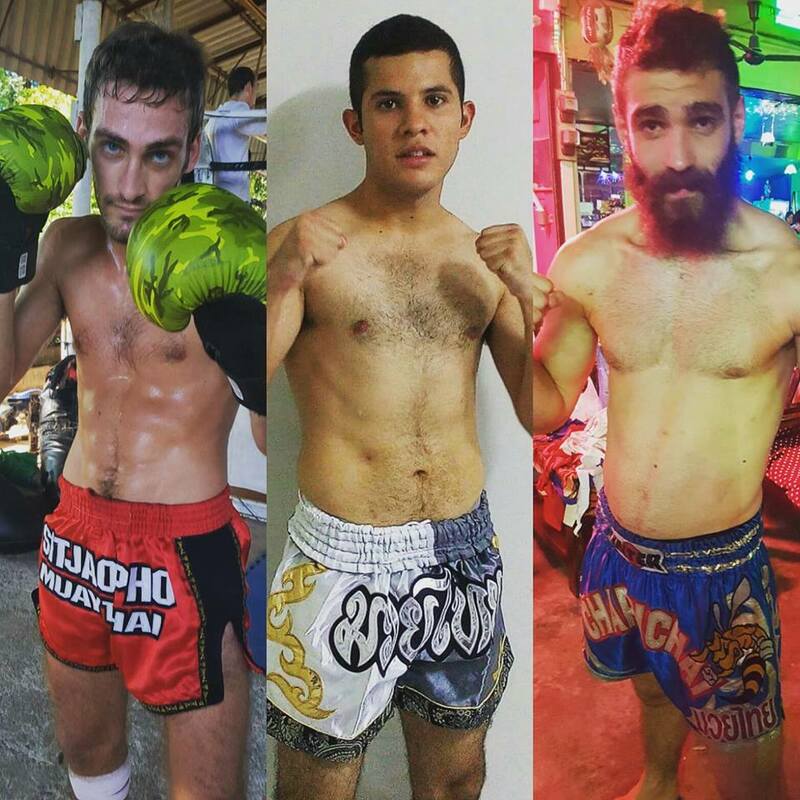 Ben who has been training with the team in Pai for over four months went into beast mode, attacking from the outset and maintaining the pace right up to the final bell. The fight was an exciting, action packed, 5 round battle with both fighters receiving an 8 count (rounds 3 and 5) and landing some powerful shots which had the whole stadium on their feet cheering! Ben attacked his opponent’s right leg with low kicks in every round and looked as though he might finish the fight in round 3 but Yodchay clung on and came back strong, knocking Ben down with a punch in round 5. After a closely fought match, Ben was awarded the win by decision.